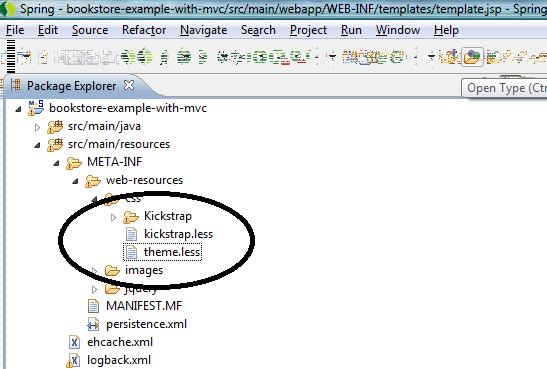 In continuation of my earlier blogs on Introduction to Spring MVC, in this blog I will talk about Kickstrap, Less and how Kickstrap can be integrated with our Spring MVC based bookstore application. If you go to Kickstrap website they mention that it is Twitter Bootstrap on Steroids. It is heavily based on Less which is a dynamic stylesheet language. You can download Kickstrap from here. 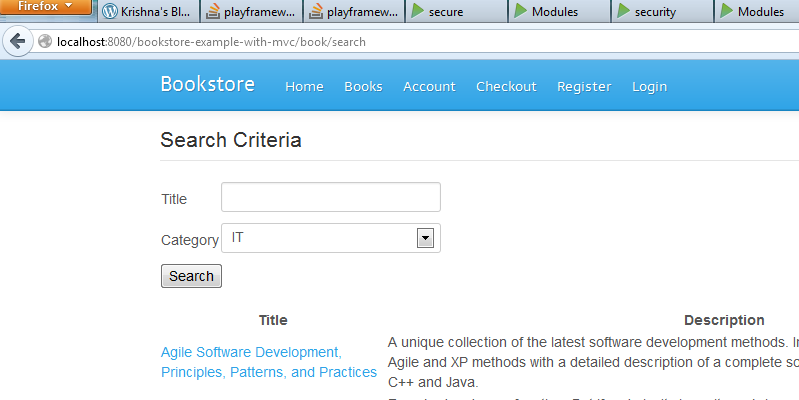 We can achieve Responsive web design refer Responsive Web Design using Twitter Bootstrap, Spring MVC. 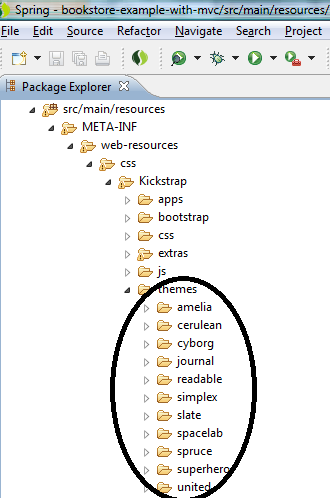 If you see the template.jsp, we use some of the css class of Kickstrap like “container”, “row-fluid” and others. row-fluid helps in responsive web design. This entry was posted in Spring MVC and tagged Spring MVC on February 24, 2013 by Krishna.